P.I. Penguin Wall Calendar 2015 Now Available! Aulexic is proud to release our first Limited Edition P.I. Penguin Wall Calendar 2015. Strictly limited to 100 copies, each calendar is beautifully presented. Each month, January to December, is printed on quality thick (200gsm) pages and spiral bound. This years calendar features stunning illustrations by our children’s book illustrator, Adit Galih, drawn from the first P.I. Penguin book, P.I. Penguin and the Case of the Missing Bottle. The images selected for each month represent Australian customs and traditions based on the traditional holidays and our classic Australian weather. Every calendar is signed and uniquely identified by Bec J. Smith, our P.I. Penguin series author. Beautifully functional and collectable, the Limited Edition P.I. 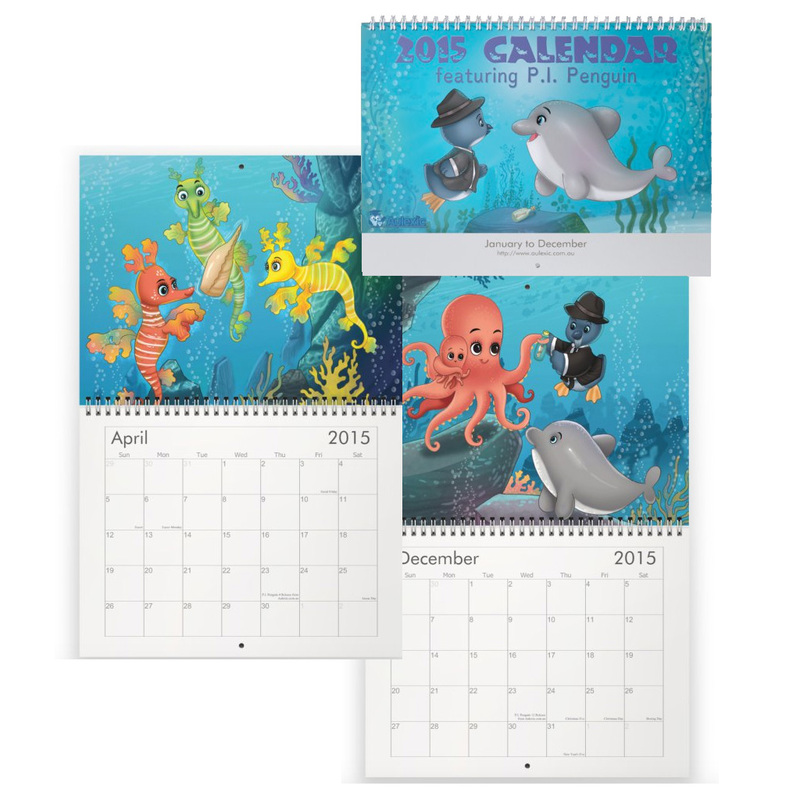 Penguin Wall Calendar 2015 is a great way to keep the bright and beautiful images of our P.I. Penguin books in your home year round; It also makes a beautiful gift for friends and family. Order online today while stocks last!